Natalie Coughlin, Jason Lezak, Lenny Krayzelburg and Kaitlin Sandeno will serve as captains of the four SwimSquad teams for USA Swimming’s new Pro Swim Series feature. 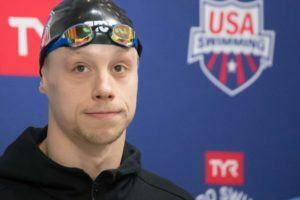 We reported last night that the four teams would be headed by retired Olympians, and a USA Swimming press release today named the four team captains. The four will draft out their teams from the USA Swimming National Team pool this Sunday in advance of the Golden Goggles award banquet. Stay tuned to SwimSwam for more coverage on this event, including a special pre-draft report you won’t want to miss. COLORADO SPRINGS, Colo. – Team USA legends Natalie Coughlin, Lenny Krayzelburg, Jason Lezak and Kaitlin Sandeno – who combined to win 28 career Olympic medals – will serve as team captains for #USASwimSquads, a new feature for 2018 that allows USA Swimming National Team members to compete for team points and a grand prize throughout next year’s events. The captains will draft their squads on Sunday ahead of the Golden Goggle Awards. USA Swimming will stream the first five rounds of the draft on USASwimming.org and via Facebook Live at 1 p.m. ET/10 a.m. PT. Following Sunday’s draft, each of the four rosters will feature 27 or 28 team members. From there, it will be up to each of the legendary captains to set their best projected lineup for each meet – much like fantasy sports. Points will be awarded up to eighth place with 10 points for first, 8 for second, 7 for third, 5 for fourth, 4 for fifth, 3 for sixth, 2 for seventh and 1 for eighth. 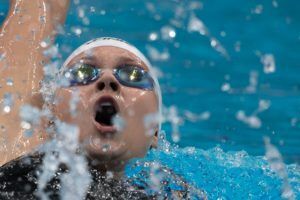 The winning squad will be recognized following each TYR Pro Swim Series meet, and the squad with the most cumulative points at the conclusion of Phillips 66 Nationals will win a $10,000 donation to the charity of its choice. Each eligible squad member also will win prizes from USA Swimming partners. 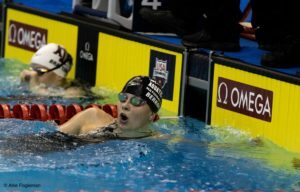 #USASwimSquads is another example of USA Swimming enhancing its events with new and exciting format adjustments. 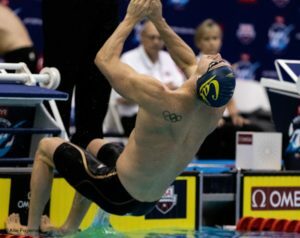 Three of the 2018 TYR Pro Swim Series meets will have new wrinkles as well, including the addition of 50-meter events for each of the strokes, culminating in a “shootout-style final;” a mixed 400m medley relay featuring members of the National Team and a 200m “mystery” individual medley final in which stroke order will be determined immediately prior to the event. So did Natalie quietly retire? This is the first time I’ve heard her name and retirement in the same sentence by USA Swimming, and her use of past tense seems to confirm it. In effect, she retired from elite full-time training. Off topic but this post made me think about Missy. Anyone know how she’s been doing lately?